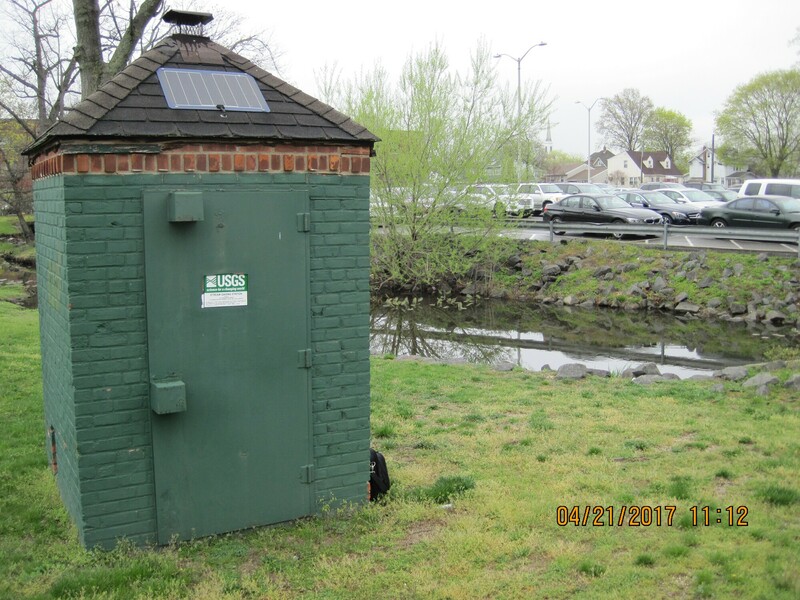 LOCATION.--Lat 40°39'49", long 73°42'16" referenced to North American Datum of 1983, Nassau County, NY, Hydrologic Unit 02030202, on right bank 40 ft upstream from West Valley Stream Boulevard in Valley Stream. PERIOD OF RECORD.--1851-52, 1854, 1856-57, 1885, 1894 (fragmentary in Professional Paper 44), July 1954 to current year. Prior to October 1956, published as Watts Creek at Valley Stream. REVISIONS HISTORY.--WRD NY-71-1: 1962-63 (M), 1966-69 (M). WDR-US-2009: Drainage area. GAGE.--Water-stage recorder and concrete control. Datum of gage is 7.49 ft above NGVD of 1929 and 6.39 ft above NAVD of 1988 (VERTCON). Prior to 1894, determinations of flow by various methods, at different sites and datums. July 1954 to July 16, 1964, at same site at datum 1.04 ft higher. REMARKS.--Flow regulated occasionally by cleaning operations at outlet of Valley Stream Pond above station. Water year 2014-17: Records fair except those for estimated daily discharges, which are poor. EXTREMES FOR PERIOD OF RECORD.--Extremes prior to 1954 not included. Maximum discharge, 294 ft³/s, June 30, 1984, gage height, 5.78 ft; no flow at times each year 1963-96, 1998-2003, 2005-11.